Plenty of cartoons have featured the southern United States, aka the South. Granted, some tend to depict the region as a backwater full of hillbillies. Some modern depictions also forget that there’s a very large African-American population living there. Here’s a list of cartoons set in, or mentioning, each southern state. The US Census Bureau defines the southern US to include the following states: Delaware, Florida, Georgia, Maryland, North Carolina, South Carolina, Virginia, West Virginia, Alabama, Kentucky, Mississippi, Tennessee, Arkansas, Louisiana, Oklahoma, Texas, and Washington DC. Superman’s home city of Metropolis is sometimes located in Delaware. Specifically, along the Delaware Bay, across from Gotham City (in New Jersey). “Steven Universe” is located in a fictional version of Delaware (“Delmarva”). The show’s version of the United States features an alternate version of history and geography, probably from the Gems’ influence. “Freakazoid” mostly takes place in Washington, DC, the goofy hero’s hometown. A minor Woody Woodpecker nemesis, Gabby Gator, lives in Florida. One less-than-stellar “Simpsons” episode (“Kill the Alligator and Run”; guest star: Kid Rock) sees the family visit Florida for a vacation. The aforementioned alligator is called the state’s “mascot.” In real life, the official state animal of Florida is the endangered Florida panther. The alligator is the official state reptile, however. The animated “Ace Ventura” series takes place in Florida. A few episodes of “Wild Kratts” take place in Florida. One involves the Florida panther, while another involves the differences between alligators and crocodiles. 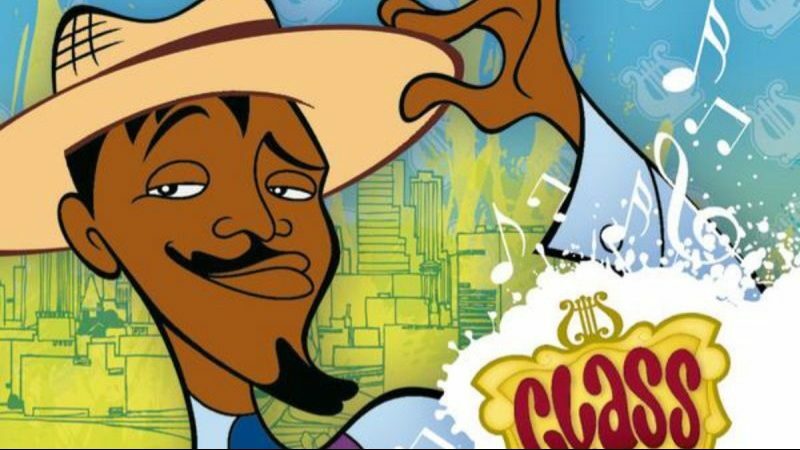 The 2006 Cartoon Network series “Class of 3000” takes place in Atlanta. Some online sources placed the animated series “The Boondocks” as taking place in Maryland (if not suburban Chicago). Maryland’s where series creator Aaron McGruder grew up. The Wright brothers’ first airplane flight at Kitty Hawk, North Carolina, has been featured in various cartoons, including an episode of “Mr. Peabody and Sherman.” That show oddly depicted the bicycle shop owners from Ohio as stereotypical southern hillbillies. “Histeria!” covered the start of the Civil War in Fort Sumter, near Charleston. “Family Guy” spin-off series “The Cleveland Show” takes place in Virginia. An episode of “Wacky Races” (“Free Wheeling to Wheeling”) has the racers drive through West Virginia en route to the finish line in Wheeling. Granddad from “The Boondocks” lived in Alabama for a period of time. “Histeria!” featured in one episode the Montgomery bus boycotts and Rosa Parks. An episode of “Peabody’s Improbable History” sees Peabody and Sherman visit the first running of the horse race. An episode of “DuckTales” sees the gang enter the “Kenducky Derby” (the show gave duck-pun names for everything). An episode of “Wacky Races” sees the racers drive through Mississippi (“The Zippy Mississippi Race”). Supposedly “Deputy Dawg” lives in Tennessee, at least in some later episodes. A “Flintstones” episode sees the gang visit the prehistoric state of “Arkanstone.” Arkanstone is where most of Fred’s paternal ancestors (all hillbillies) lived, but were all wiped out in a long-running feud with the Hatrock family. The Hatrocks appeared again in a later episode, visiting the Flintstones in Bedrock. The movie “Scooby-Doo on Zombie Island” is set in Louisiana. The “Wacky Races” episode “Oils Well That Ends Well” involves the racers driving from Oklahoma to Texas, along a route lined with oil wells. In real life, Oklahoma does have a thriving oil production industry. “King of the Hill” takes place in the Lone Star State, specifically the fictional town of Arlen. Fred on “The Flintstones” has several wealthy rancher cousins and uncles from prehistoric Texas/”Texarock” (the show used both names). I assume they’re his cousins/uncles on his mother’s side? Are we counting animated movies? If we are, then I can think of two set in Louisiana. “The Princess and the Frog” takes place in and around New Orleans, and part of “The Rescuers” takes place in the bayou. I haven’t seen it since I was a kid, but I think it’s a bayou in Louisiana. Yes, animated films (including those two) count as well!